In coastal environments, the supratidal zone bridges marine and terrestrial ecosystems and is important for energy exchange. However, it is also subject to extensive anthropogenic disturbance, such as armoring of shorelines. Shoreline armoring is extensive along many coasts, but the impacts on biota are comparatively unknown. Between 2000 and 2002, paired and synoptic sampling regimes were employed to assess armoring effects on insects and benthic macroinvertebrates in the supratidal zone of Puget Sound beaches. Paired sampling showed natural beach sites had significantly more deposited wrack. Infauna was dominated by oligochaetes and nematodes; talitrid amphipods, insects, and collembolans were significantly more numerous at natural beaches, and crustaceans were more abundant at altered beaches. Insect assemblages were diverse, with taxon richness higher at natural beach sites. In the synoptic sampling, where sites with higher elevation modifications were used, there were fewer differences in invertebrate assemblages between armored and nonarmored sites. 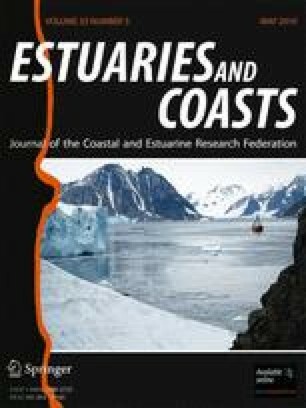 The results show that, where shoreline armoring lowers the land–sea interface, benthic infauna and insect assemblages are disrupted. Widespread shoreline modifications may decrease the availability of prey resources for fish and wildlife and decrease the contribution of organic material entering the nearshore ecosystem. We thank C. Rice, J. Gregg, M. Nelson, and the Wetland Ecosystem Team for field and lab support. M. Dethier and B. Miller provided comments on early drafts of the manuscript. R. Latour provided help with statistical analysis, and three anonymous reviewers provided suggestions that strengthened the final version. Support for this project was provided by King County, Washington Department of Natural Resources, US Army Corps of Engineers Seattle District, NOAA Fisheries NWFSC, and the University of Washington School of Aquatic and Fishery Sciences.